Azygoportal Total Dissociative Procedures for Portal Hypertension Treatment; Evolution of Surgical Techniques. Nazirov F.G., Devyatov A.V., Babadjanov A.Kh., Salimov U.R. and Khakimov D.M. The aim of the study was to determine the efficiency of azygoportal collector total dissociation in patients with portal hypertension. Depending on the procedure, the patients were divided into two groups. An original method of azygoportal dissociation was performed in 63 patients (the first group). In the second group a modified version of azygoportal dissociation was performed. Patients were comparable in the main pathology and course of the disease. Edematous ascites syndrome; liver failure; insufficiency of gasto-gastral anastamosis and haemorrhagic syndrome, were observed in 28.6%; 23.8%; 11.1%; and 14.3 % of patients operated by the original method vs. 16.5%; 7,7%; 0%; and 4.4% for patients operated in the modified technique, respectively. 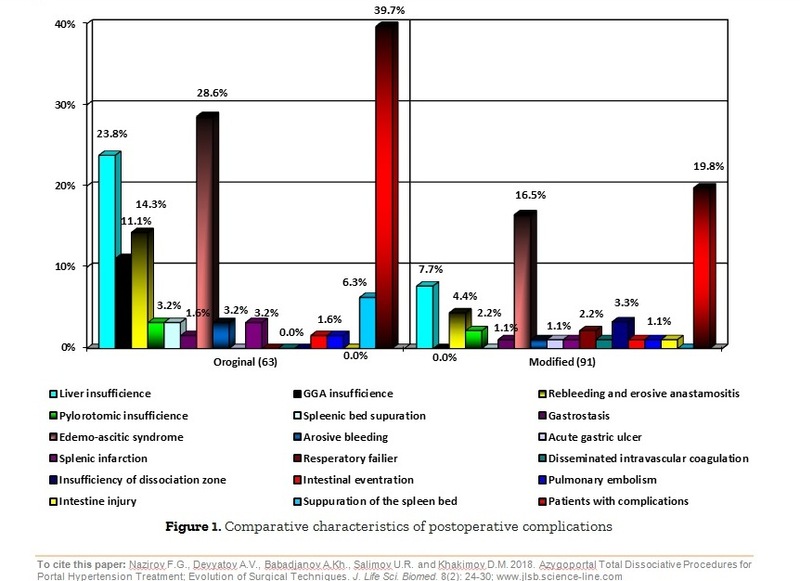 From the results it can be concluded that, proposed modified method of azygoportal collector dissociation on a prosthesis is more effective method for hemorrhagic syndrome control, and also allows to significantly reduce the incidence of severe complications in the immediate postoperative period. Keywords: Liver Cirrhosis, Portal Hypertension, Dissociative Operations, Ligature Transection Method, Bleeding from Esophageal Varices. Prophylactic Administration of Ginkgo biloba Leaf Extract (EGb 761) Inhibits Inflammation in Carrageenan Rat Paw Edema Model. Abdulrazak S., Nuhu A.A., and Yashim Z.I. Acute toxicity and anti-inflammatory effect of Ginkgo biloba leaf extract (EGb 761) were carried out in this study. The anti-inflammatory activity was studied using the carrageenan model whereby twenty rats were randomly divided into four groups of five animals each. Groups one and two were administered the EGb 761 extract at 500 mg/kg and 250 mg/kg, respectively. 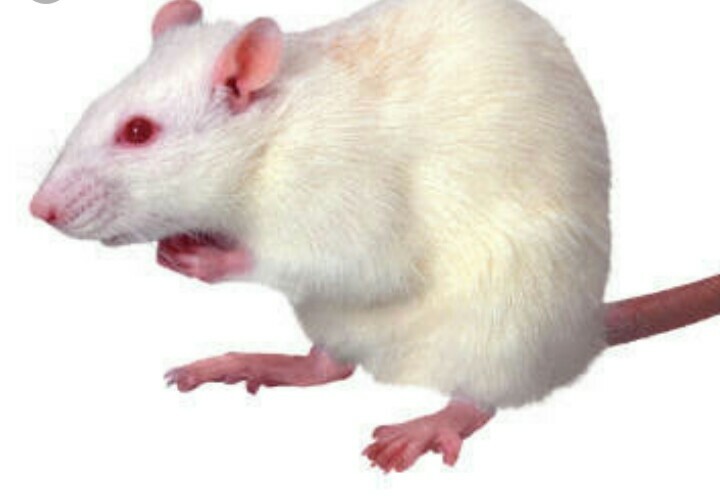 Rats in groups three (positive control group) and four (non-treated control group) were given piroxicam (10 mg/kg) and normal saline (5 ml/kg), respectively. Oedema was induced by injecting 100 μl of fresh carrageenan into the right plantar surface of the hind paw of each rat 30 minutes after administration. The acute toxicity tests result showed that the extract is safe at 5000mg/kg dose. Ginkgo biloba leaf extract caused a significant (P ˂ 0.05) decrease in the size of the paw oedema when compared to control. Of interest, EGb 761 at 250 mg/kg was as effective as, or better than piroxicam (10 mg/kg). These findings further justify the use of Ginkgo biloba leaf extract in both medical and ethnomedical practice and may be used in treatment of inflammation. 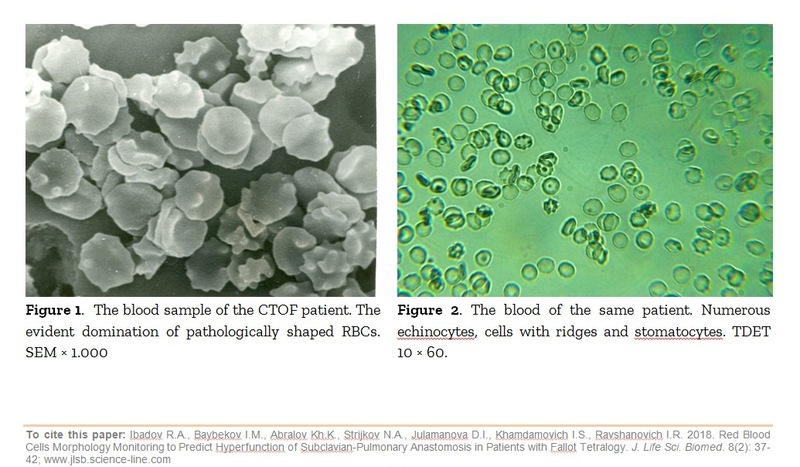 Red Blood Cells Morphology Monitoring to Predict Hyperfunction of Subclavian-Pulmonary Anastomosis in Patients with Fallot Tetralogy. Ibadov R.A., Baybekov I.M., Abralov Kh.K., Strijkov N.A., Julamanova D.I., Khamdamovich I.S., Ravshanovich I.R. Hyperfunction of subcluvian-pulmonary anastomosis in patients with tetralogy of Fallot (TOF) is known to be a rather common condition in the early post-operative period. It resulted in development of hypervolemic pulmonary circulation and edema. Morphometry of peripheral blood cells of 81 TOF post-operative patients revealed an increase in the number of pathologically shaped red blood cells (PS RBCs) in 14 of them. Mainly these were the ones with a ridge-like structure on their surface. The hick drop express-technique (TDET) enables to evaluate the correlation of normal RBCs/ PS RBCs for 10-15 min for the entire procedure. The progressive deterioration of RBCs morphological features is suggested to be a predictor of the anastomosis hyperfunction due to changed blood rheology. In addition the correlation of normal and pathological forms of erythrocytes can be an evaluation criterion of effectiveness of patient management tactics of cardiologic intensive care.